Twice a year, Ross A. Clevens, MD, FACS will award a $1,000 scholarship to recognize the hard work and academic excellence of area high school juniors and seniors. We are honored to award scholarships to outstanding students from Brevard County each year and help them continue to reach their educational goals. Ross A. Clevens, MD, FACS, is pleased to announce the launch of a new semi-annual scholarship program. In recognition of the hard work and academic accomplishments of local students, the scholarships have been created to honor those who demonstrate a dedication to excellence in pursuit of their academic goals. For two decades, Dr. Clevens has been an integral part of central Florida’s medical community. Giving back to the community is a key component of his practice. Each year, Clevens Face and Body Specialists donates more than $100,000 to the local community, and Dr. Clevens and his family established the nonprofit foundation Face of Change to provide food and medical care to children in Brevard County as well as abroad. The Clevens Face and Body Specialists semi-annual scholarship application period is currently open. Applicants must be a high school junior or senior currently attending a public or private Brevard County high school. Each application will include a 500-750 word essay on one of two plastic surgery related topics. The scholarships are open to students pursuing any field of study. Scholarship finalists will be chosen through a careful selection process and must provide transcripts showing a minimum 3.0 GPA to qualify. This year’s winners will be announced on May 15 and November 15. Brevard County high school students interested in applying for the 2016 scholarships can learn more online at http://www.drclevens.com/scholarship. Clevens Face and Body Specialists is the leading plastic surgery practice in central Florida. 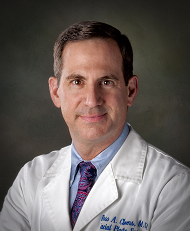 Practice founder, Ross A. Clevens, MD, FACS, is a fellowship trained facial plastic cosmetic and reconstructive surgeon. He is board certified by the American Board of Facial Plastic and Reconstructive Surgery. His associate, Amy Ortega, MD, is a double fellowship trained, board certified female plastic surgeon, specializing in procedures for the breast and body. Clevens Face and Body Specialists also offers NeoGraft Permanent Hair Restoration for Men and Women, Injectables & Fillers, Laser Treatments, Laser Hair Removal, Skin Cancer Care and Medical Grade Skin Care. The practice is based in Melbourne, Florida with offices in Merritt Island and Vero Beach.